Cathy Langer from the Tattered Cover Book Store has picked Sissy Bear at The Fort as one of her 4 Western Book Picks To Curl Up By The Fire With! 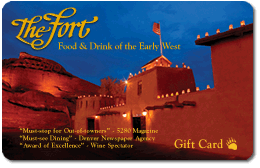 How did a real bear come to live at the famous Colorado restaurant, The Fort? Author Holly Arnold Kinney actually took naps with Sissy in 1963 when she was just 9 years old, when both she and Sissy lived at The Fort. This charming true story of Sissy’s life, including her rescue by the Arnold family, her love affair with “Lobo”, the German Shepherd, and how Sissy “kissed” so many Fort guests from 1963-1982, will enchant the young at heart as well as every child. For any animal lover, this book is filled with actual family photos of Sissy, as well as beautiful illustrations by Christine Wald. 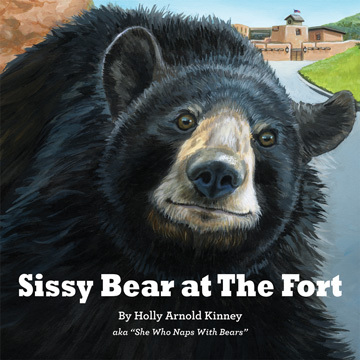 Holly Arnold Kinney, accomplished author and restaurateur, has been asked nightly by her guests at The Fort restaurant to write a children’s book about Sissy Bear, as so many people remember the bear fondly and they want their children and grandchildren to know about this interesting part of Colorado history. Sissy Bear lived at The Fort, from 1963 until she died of old age of 19 in 1982. Sissy “kissed” thousands of Fort guests over the years.